Government safety officials are looking into a handful of reports of severe rashes caused by new types of Pampers diapers. 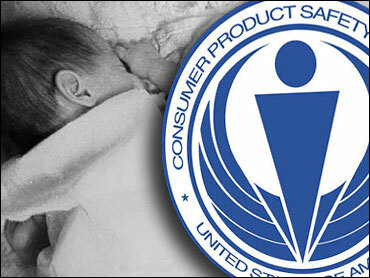 The Consumer Product Safety Commission started an investigation this week following complaints of babies and toddlers suffering severe and persistent diaper rashes and blisters that resemble chemical burns. In March, Procter & Gamble launched new versions of its Swaddlers and Cruisers diapers in the U.S. The thinner diapers use the company's Dry Max technology to replace the paper pulp previously used. Parents' groups blame the change for skin problems. The company denies that Dry Max causes chemical burns. "There is no evidence from the people that have called us - or from the research that we have done - that a single baby has experienced a skin safety issue as a result of our Pampers with Dry Max," the Cincinnati-based company said in a statement. A Facebook page asking the company to bring back the older versions of its diapers has more than 4,000 members. CPSC spokesman Scott Wolfson encouraged parents to report any problems to the agency, which he said has received only a handful of reports so far. Wolfson said the investigation is in its early stages and the agency is seeking as much information as possible. "We would like parents and caregivers to report to CPSC if they feel that their baby has been affected by this issue," he said. "It's so important for it to come directly to us." "We're happy to work with them to clear up any misconceptions or misleading information that might exist," he added.